What is everybody drinking besides water? I'm wondering what everyone is drinking besides water? Cytomax,herbalife,etc. I used to use cytomax and endurox but haven't had it in yrs. What's a good one to try out there now. I was drinking Gatorade before I started riding. Buy it in the powder form and mix to my liking. We drink water most of the time. On really long rides we'll do Ensure. Occasionally we'll do HEED. And, of course, we have a coke at rest stops. Gatorade gives me mouth sores and makes my teeth feel fuzzy. Cytomax just doesn't taste right at all. During ride: Gatorade, NUUN water, water. After ride: Whey protein shake, beer. Mountain Dew and Crown, but only because the soda came with the Papa John's Pizza NFL special. That's for after ride replenishment not before. Trainers and nutritionists say that a calorie is not just a calorie and they're mostly right, but a shot is just about the right amount and pretty good calories. IMO. A scoop a vitalyte in one of my bottles for the electrolytes, when it's really hot I may put a scoop in each bottle for rides up to two hours. Vitalyte is only 40 kcal/scoop, just enough to improve absorption. For longer rides or races, at least one bottle will have EFS First Endurance in it (two scoops to a 21oz bottle). I'll 2nd Vitalyte. Been using it since I raced in the '70s. (It changed names several times. It used to be GookinAid and ERG, then Hydrolyte.) I have been using 2 scoops per bottle forever. 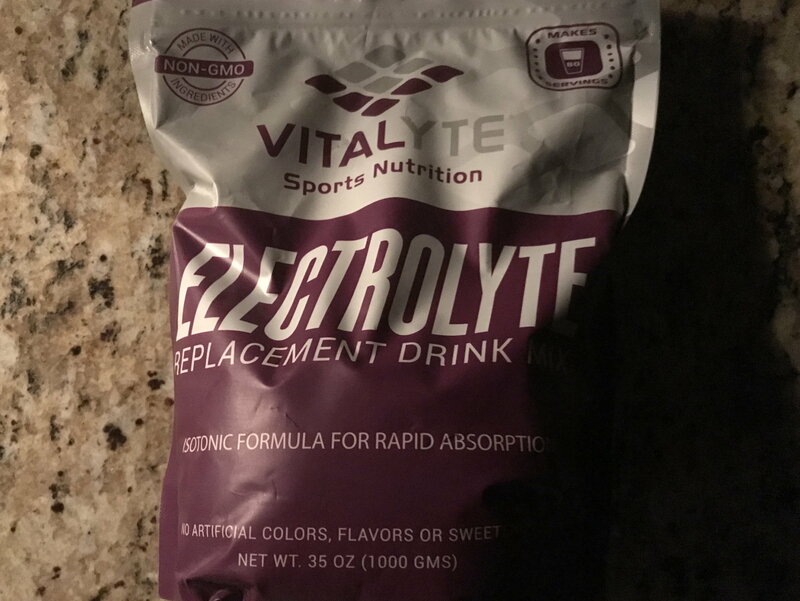 The stuff works to keep electrolytes up, tastes clean and has never made me sick. In fact, I drink it when I have a stomach bug and know it's coming back up because I know my body needs what is can get out of it while it's down. And it tasted OK coming back. Another plus is that is is cheap, about 45 cents/bottle for two scoops. The stuff works to keep electrolytes up, tastes clean and has never made me sick. In fact, I drink it when I have a stomach bug and know it's coming back up because I know my body needs what is can get out of it while it's down. And it tasted OK coming back. I just tried this recently , 1/2 bottle of water mixed with 1/2 bottle of fruit juice . Somtimes Nuun tablets when I'm really dehydrated. Iced tea, coffee, milk, and occasionally a bottle of Lost River Community Red. This book tells you how to estimate your calorie needs, both on and off the bike. It also has formulas for estimating calorie burn and shows you how to determine how much fluid you will need on a ride. Lots of good stuff. More water. Clif bars have plenty of electrolytes. I don't add tabs to my #1 water bottle because more than enough are obtained from Crank Sport e-Gels. HOT n HUMID days some lemon slices. My #2 water bottle has ice cubes, O'Doul's NA beer and pickle juice which is especially helpful during climbing rides. Six Gap is next month and the 11,000+ feet of climbing for the 103 miles might not be much for many riders but for this 66yo SW FL rider who does 100 milers with 50' or less of climbing, the carbs in the beer and the pickle juice sure do hit the spot. Sometimes add beet juice, Bragg Apple Cider Vinegar and a shake of cayenne pepper. Last edited by OldTryGuy; 08-17-16 at 09:39 AM. Can't believe no one has referenced it to the OP. Or maybe I missed it? Didn't even see it, thanks for the link.. I'll check it out. I am Type 2 diabetic, basically in remission. I found that it is quite easy to overdo the carbs during rides, especially with in liquid form. I've started using NUUN Energy tabs in water (only 10 calories) and using actual food on long rides. The Energy tabs have a little caffeine, which is helpful. It could be a placebo effect or cumulative months of training, but my performance has improved. I also like the taste of these little tabs in water. Location: Panama, close to Pedro Miguel Locks. Add to large bottle: 1/4 cup unsweetened cherry juice, 1 TBS honey, 1/2 TSP salt, fill to top with coconut water. Shake and go. This.....Not sugary sweet, sorta like a gator aid lite. Fructose + maltodextrin + a little apple or cranberry juice for flavor.